Located between the university and the city centre, Trinity Student Village puts you at the heart of the action. On weekends, discover Preston’s past at the Harris Museum & Art Gallery, where you’ll find everything from Ice Age skeletons to 19th Century photographs. Meet your friends for coffee and a spot of retail therapy at St George’s Shopping Centre, or hop on the bus to watch a Championship football match at Deepdale Stadium. In the evening, catch an alternative gig or a live comedy show at eclectic venue 53 Degrees, then treat yourself to local eatery Jaffa’s legendary kofte kebabs. 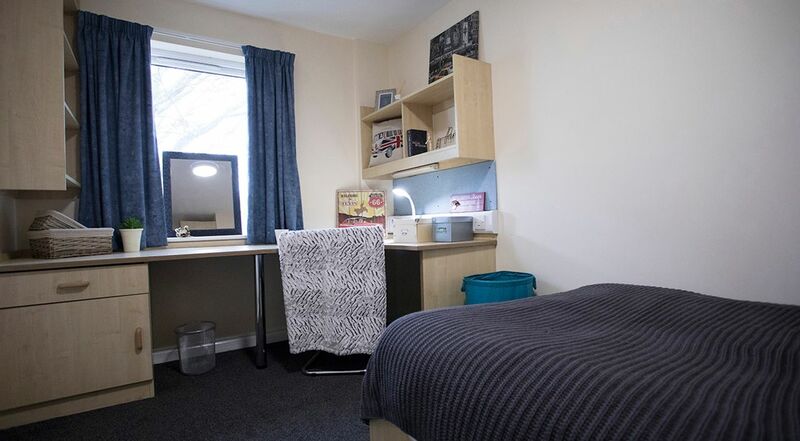 From your furnished bedroom at Trinity Student Village, it’s a five-minute walk to the University of Central Lancashire. Charge your batteries before class with a coffee at the living area breakfast bar, then check for post at reception on your way out the door. On weekends, use the nearby bus stops to explore around town, or escape with a visit to Avenham Park. Whether you’re working out on the riverbank trails or picnicking in the Japanese garden, you’ll soon feel far from the city. When you get home, turn up the heating in your private room. With all bills included, you don’t need to worry about unexpected electricity costs, while housekeeping and maintenance keep everything working like it should. 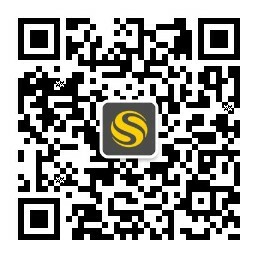 Kick off your shoes, curl up on your comfy double bed, then use the high-speed internet to stream your favourite movie. Later, take your notes from the under-bed storage and finish your assignments at your bedroom desk. In summer, the courtyard is a great place to top up your tan and hang out with friends, but when the weather gets colder the cosy common room is the place to be. In the evening, unwind with a hot shower in your private ensuite, then choose an outfit fresh from the on-site laundry. Meet your flatmates in the kitchen for a potluck dinner, then head out to the Adelphi to watch the game on the pub’s big screen TVs. 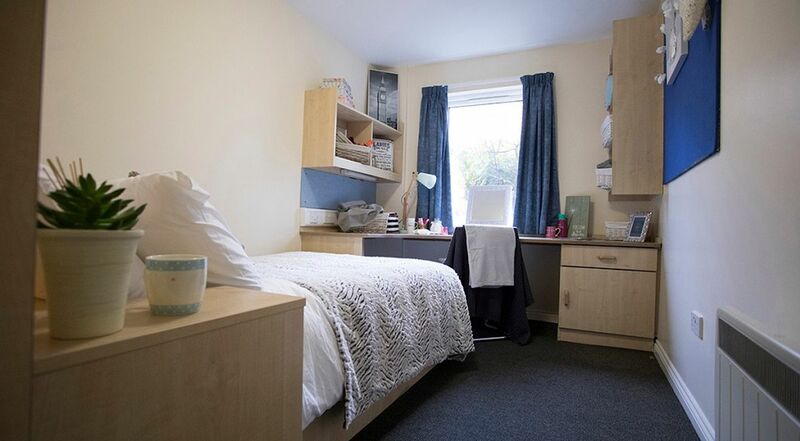 We couldn't find a room that matches your preferencesView all Private Room in Trinity Student Village.